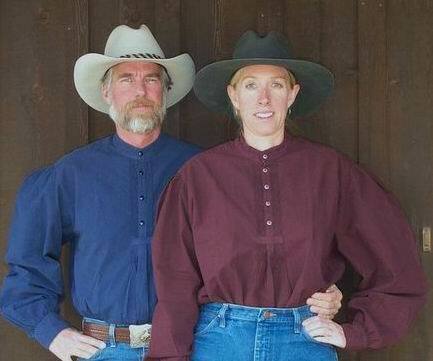 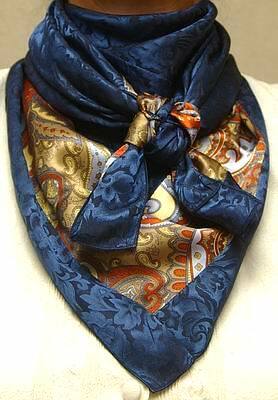 For More Wild Rags to choose from See Cowboy Images Scarves Page 1!! 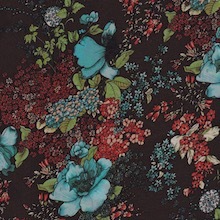 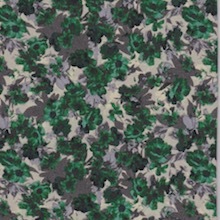 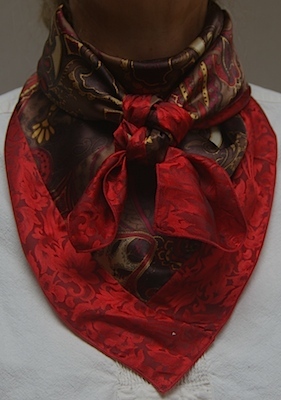 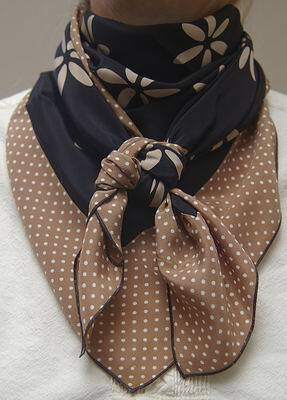 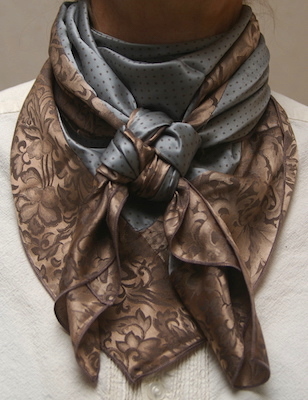 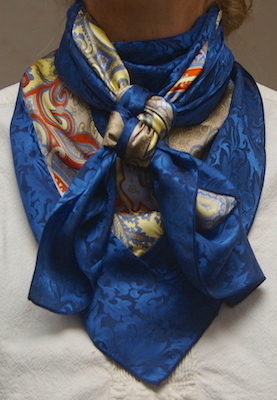 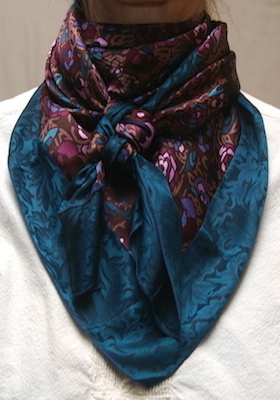 *The prints and jacquards can be combined in a custom combo scarf !! 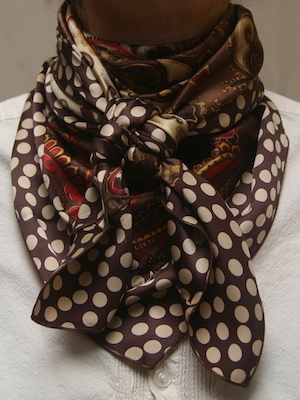 Show your personality with a combo scarf of your own design!! 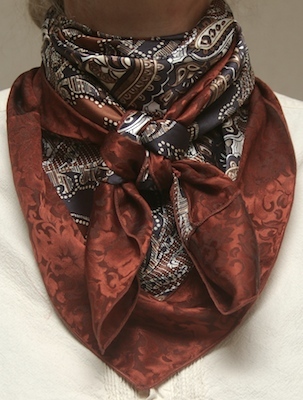 See all of our Combo Scarfs Below! 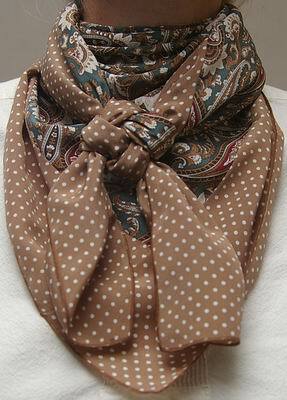 Buy 2 or more scarfs and save $2.00 per scarf! 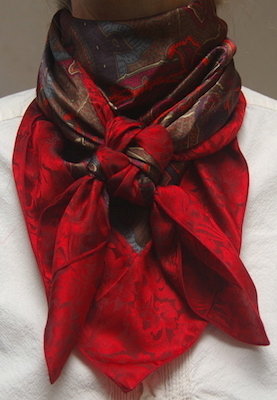 *All the wild rags/scarfs on this page have surged hems. 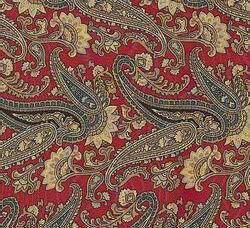 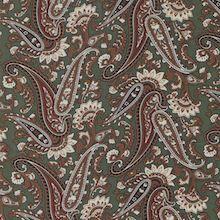 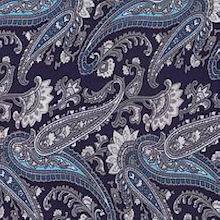 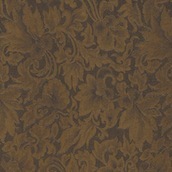 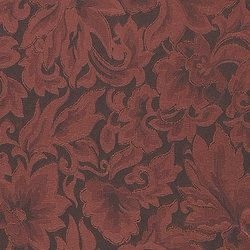 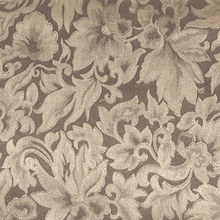 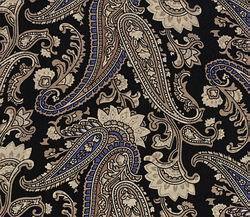 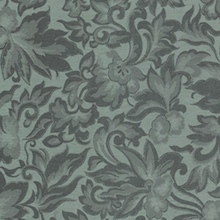 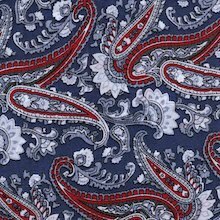 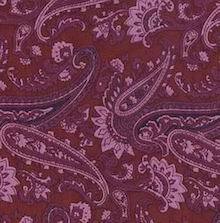 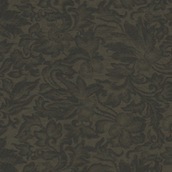 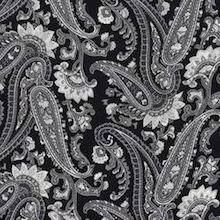 We Stock the 36" and 44" in the Paisley patterns! 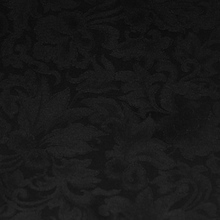 We Stock the 36" and 44"! 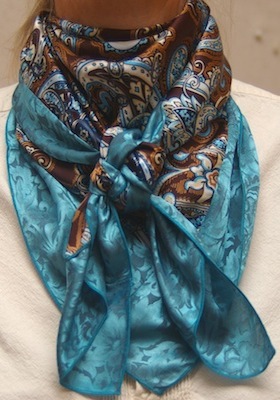 Only 1 Left in 44"
Amazing Combo Scarfs! 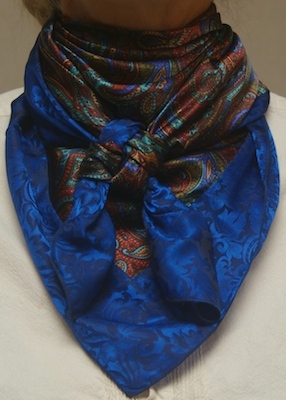 The Charmuese and Jacquards have been combined to create a very unique and personalized silk scarf. 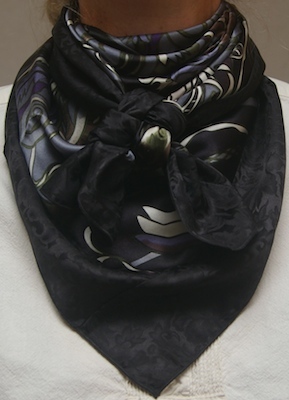 We have put together a few different scarfs; but, the sky is the limit with the different combinations available. 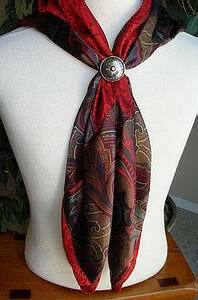 *You are welcome to create your own combo scarf!! 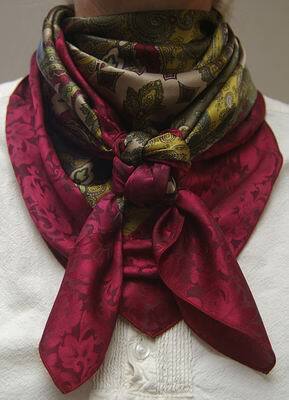 Let us know which two scarfs you want to combine and indicate which you want on the outside. 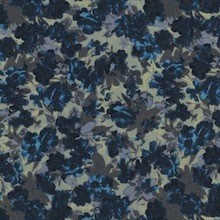 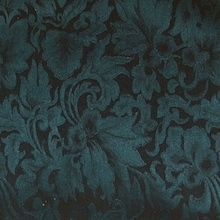 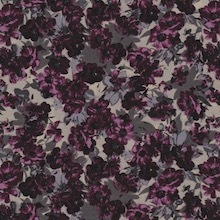 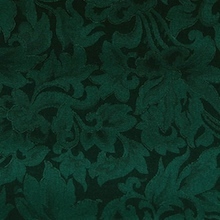 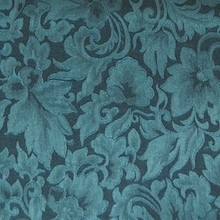 Cost reflects the fact that sewing two pieces of silk together is like herding cats.......difficult and time-consuming. 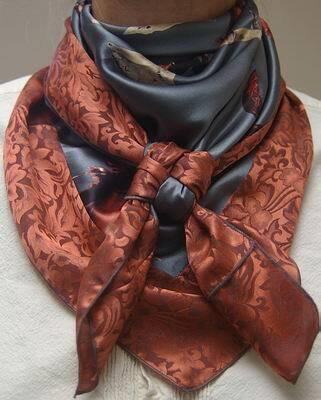 Our wild rags are made of the finest silk available and are SEWN IN AMERICA. 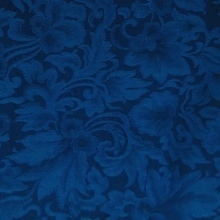 We have three different weights of silk available. 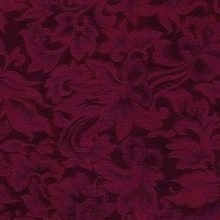 Refer to the descriptions below. 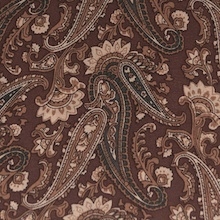 Our standard size wild rag is a generous 36" x 36". 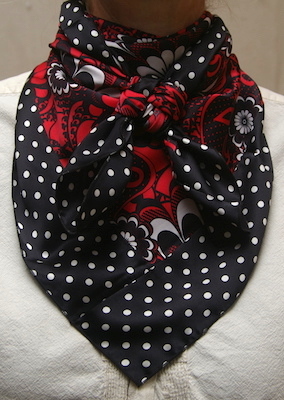 Custom sizing is also available. 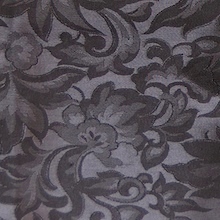 The hems on our rags are serged and guaranteed for the life of the rag. 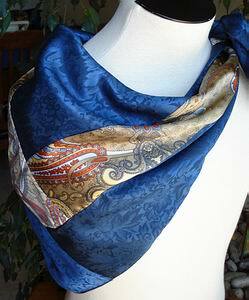 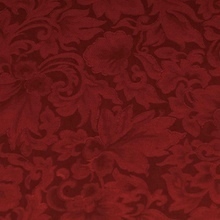 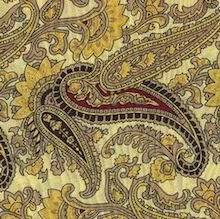 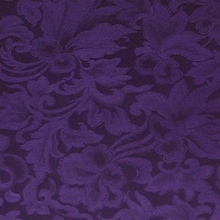 Light Weight Silk China Silk or sometimes referred to as Habotai Silk is a very light weight silk. 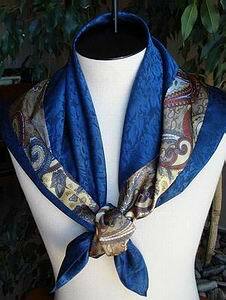 This weight is great for the warmer seasons. 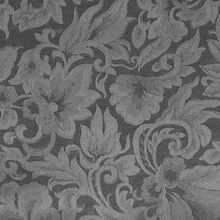 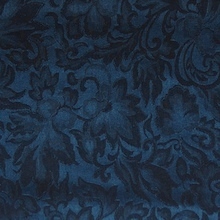 Heavy Weight Silk Charmeuse Silk is our heaviest weight silk. 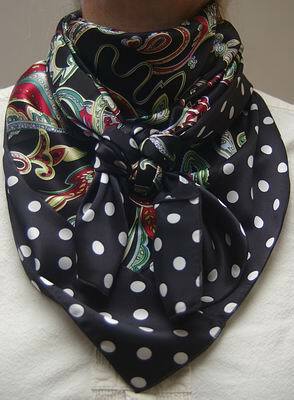 It is available in prints or solid colors. 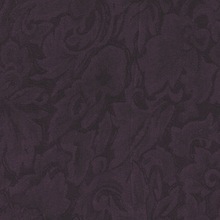 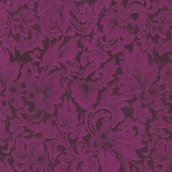 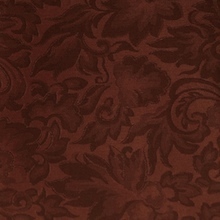 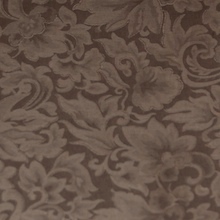 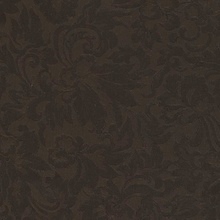 Charmeuse has a shiny finish on one side and a dull finish on the reverse side.